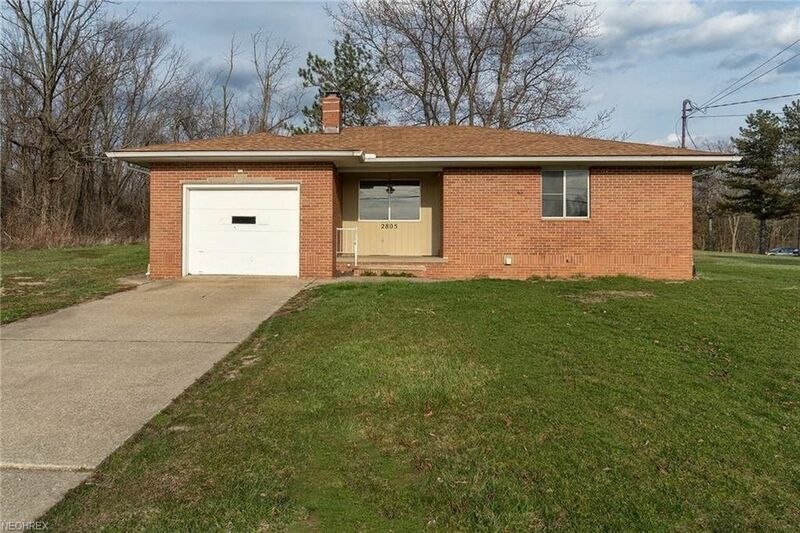 Brick Ranch on Over an Acre! Full Unfinished Waterproofed Basement! New Roof Shingles 2017! Now Hooked Up to PUBLIC Water And Sewer! Three Season (15x15) Sunroom Overlooks Open Back Yard Backing to Wooded Area! Covered Front Porch! Attached Garage w/Opener! Concrete Driveway w/Turnaround! Brick Hearth Fireplace! Newer Laminate Flooring Throughout! Kitchen Appliances Stay: Stove, Fridge and Dishwasher! Priced Below County Appraised Value! Check this one out, You will be Glad you did! Agent owned.